The Greeley West Key Club partnered with the Weld County Food Bank to distribute food at school last week. Summer is around the corner and Greeley West Key Club is doing something to give back to the community before school is out. The service club organized a food drive for students and families in need. 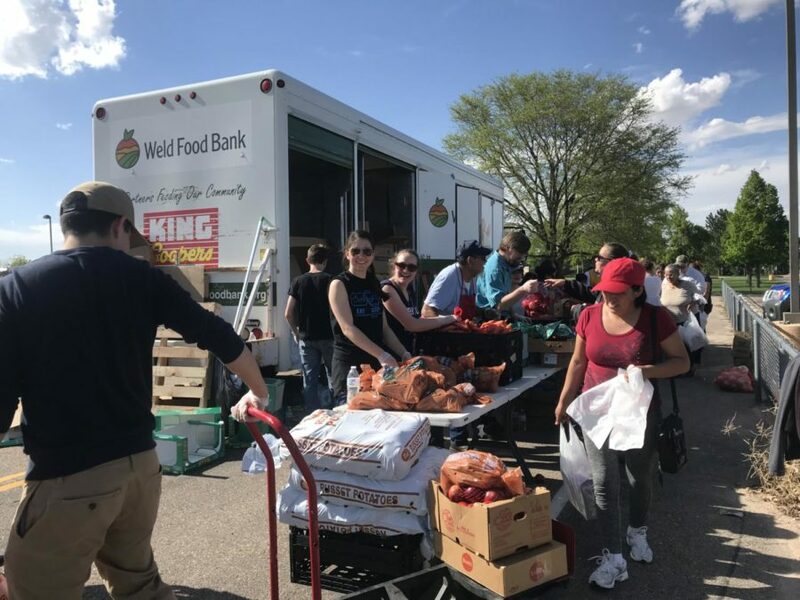 Because there are students in school who depend on breakfast and lunch at school, food was given away for free at the mobile food pantry on Tuesday, May 15. Key club partnered with the Weld County Food Bank. The items given away included fresh produce, meat, courtesy of JBS, and dairy. To get the food truck here, the key club students raised a thousand dollars from various activities from throughout the year. Sam Diaz, senior, brought back this project that they did his freshmen year and he was in charge of the entire project since the beginning. Key Club had over fifteen volunteers from West. In order to be able to receive food, the Key Club made sure to obtain certain information from each household. Information included names, family size and school districts and was used to track how many families the Weld County Food Bank has fed. Key Club hopes to bring back this tradition of helping give back to the community.